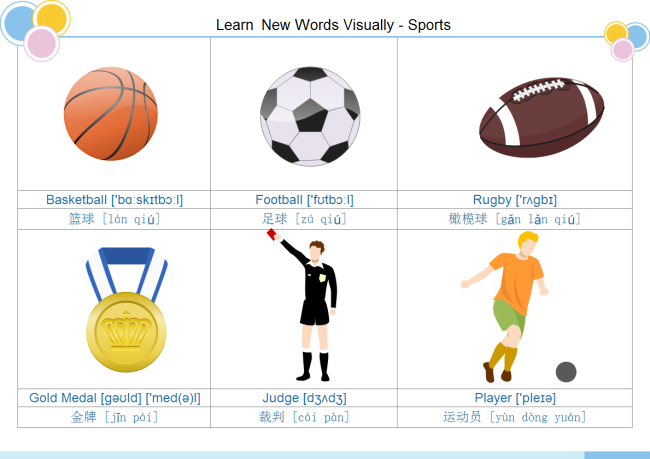 Description: Use visual flash cards to make vocabulary learning fun. Here is a free flash card about sports. You can also design such vivid flash cards in Edraw.